Why Are Toronto Prices Still Going Up When Sales Are Down? Humans always try to come up with an explanation for just about anything, even though their attributions may not always reflect reality. For instance, there are many explanations as to why real estate prices keep on rising even though home sales are dropping. One such explanation is presented in the picture above. 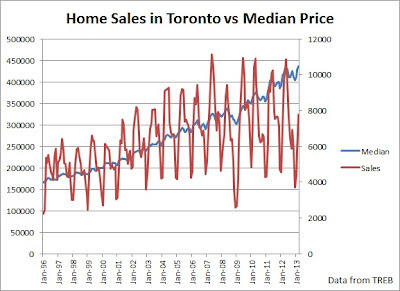 Another view is that increasing home prices are a symptom of the fact that there is no housing bubble in Toronto to begin with. 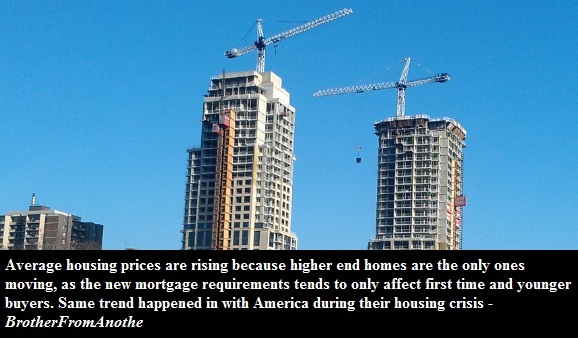 Yet others suggest that falling sales and rising prices point to a soft landing. As you can see on the chart above, it took roughly 18 months for prices to start declining even though the sales were falling. 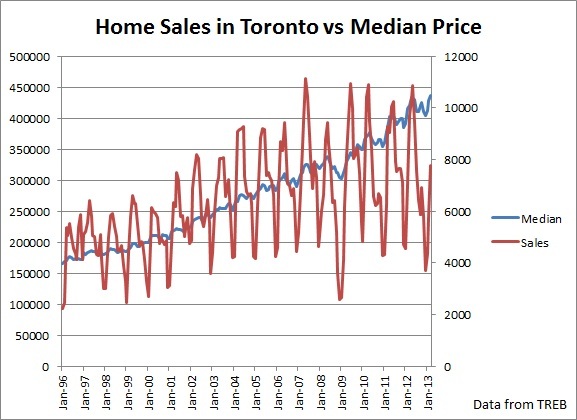 If we assume July 2012 as the start of falling sales in Toronto, then it means that we can expect the decline in prices to start only in the beginning of 2014. 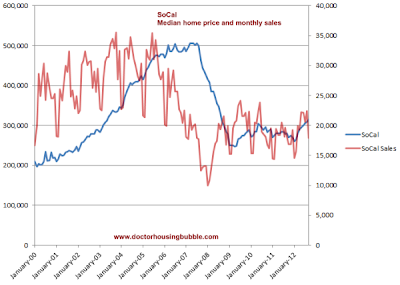 Obviously, the GTA is not California, so it may take a longer or shorter period of time for negative price movements to occur. 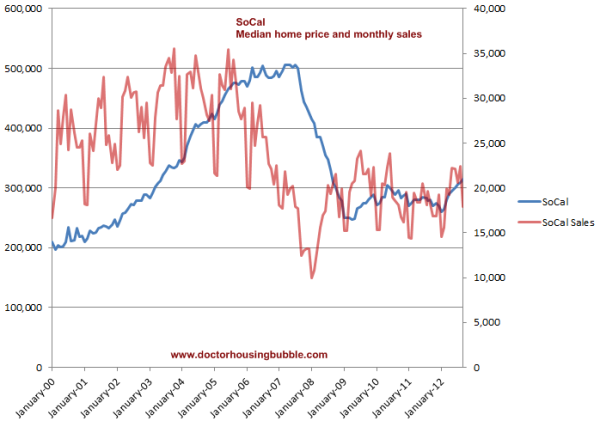 Nevertheless, the point is that it takes time before prices start declining after the sales volume has dropped.